There were anti-trans leaflets put in the toilets at the London Anarchist Bookfair (the leaflets were quickly removed). There was also a small group of people who started handing out similar leaflets at the entrance. The leaflets claimed the very existence of trans people was a threat to women and girls. We reject this claim, it has no basis in reality and instead scapegoats trans people, who are already at a high risk of violence and oppression. The leafleters were confronted by a large group and told to stop leafleting/leave. Whilst the leafleting did stop, some of those that had leapt to the defence of the leafleters continued the confrontation long afterwards. 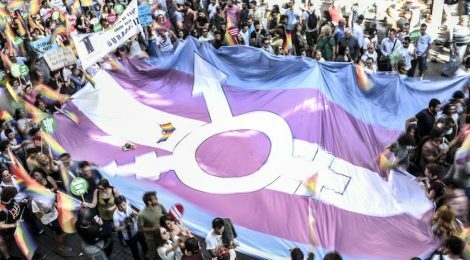 “The anti-trans literature that was being handed out and posted in toilets, and the actions of all those who enabled this, was unacceptable and has no more place at an anarchist bookfair (or, indeed, in society generally) than sexism or homophobia. 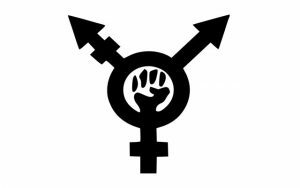 We call on the bookfair collective to implement a policy that specifically excludes anti-trans stalls and literature, as well as ensuring the safety and wellbeing of all oppressed people at the bookfair.